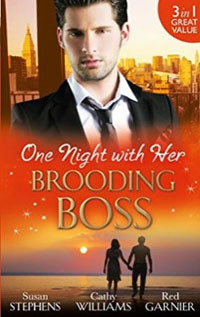 She likes him being the boss – even in the bedroom! Magenta isn’t expecting her new employer to have the old-fashioned ruthlessness of Gray Quinn! Quinn wants temptingly innocent Magenta in his bedroom, not the boardroom. He’ll give her the night of her life, but he doesn’t want her taking maternity leave! Successful New York businessman Matt Strickland’s newest employee – nanny Tess Kelly – is a world away from sensible, smart and strict! Matt’s smouldering sexiness might be off the scale, but Tess thinks his capacity for fun definitely has room for improvement.